By now, you've likely watched a reality TV show about buying a fixer upper home and thought to yourself, "that looks pretty easy." It is indeed exciting to mull over the prospect of making a home feel fresh and new again, but what the real reality will reveal is that fixer upper homes require much more time and money than their television slots allow. It can be a thrill to think about what a home in need of repair could be, but it is essential to consider all costs when buying a fixer upper in Wilmington, Newark or the surrounding areas. The last thing you want is to be surprised by mounting bills when the deal is done. In addition to the purchase price, look into costs like monthly maintenance, taxes, insurance, and how much equity you may have in the home once all of the work is completed. It never hurts to consider resale right off the bat! You will want to have an inspector come in and check if the structural elements, as well as running systems are in working order or if they need replaced. The inspector will be able to tell you what needs replaced immediately and what can stand to wait. Remember, it never hurts to ask the age of systems like electrical and how much longer they have left. If you need a recommendation for an inspector in the area, your real estate agent is a wealth of resources! One of your next steps when buying a fixer upper in Wilmington DE and Southeastern PA will be getting bids from contractors. Reality TV shows can make it seem simple to tear down walls, but there is so much more involved than what is actually shown. Gather bids from several contractors before choosing one and be sure to check references. While cost-effectiveness is important, trustworthiness will always play a major part. 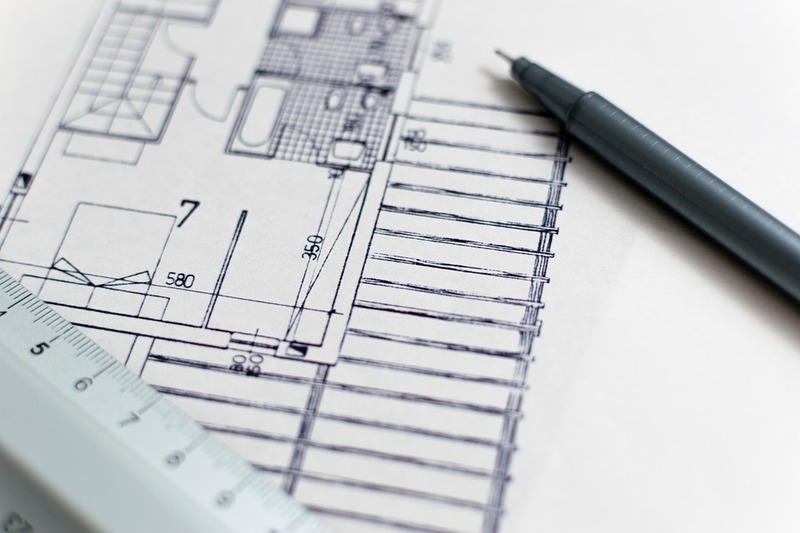 Certain renovation projects come with tax incentives, depending on the work and the area in which the home is located. After all, you will be boosting the value of the property! Check which incentives may be available to you once you've completed all work. Do not hesitate to give the Kat Geralis Home Team a call today for more information about buying a home in Chester County or Delaware County or for a list of available homes in the area! Now that we’re in the midst of summer, the real estate market has seen a rapid increase in buyer demand! Buyers are out in droves in Greater Delaware and Southeastern Pennsylvania, ready to find their dream homes, however they are also being met with limited inventory. How do you know what the market is like in your area? You can always count on the Kat Geralis Home Team to keep you updated with how the current real estate market in Wilmington, Newark, Chester County, Delaware County, New Castle County and beyond is behaving. Just take a look at the following statistics! For the second quarter of 2017, there were 2,253 homes for sale— a 14.1 percent decrease in inventory from the same time last year and as we mentioned above, a trend that buyers are finding not just in Delaware and Southeastern PA, but all across the country! 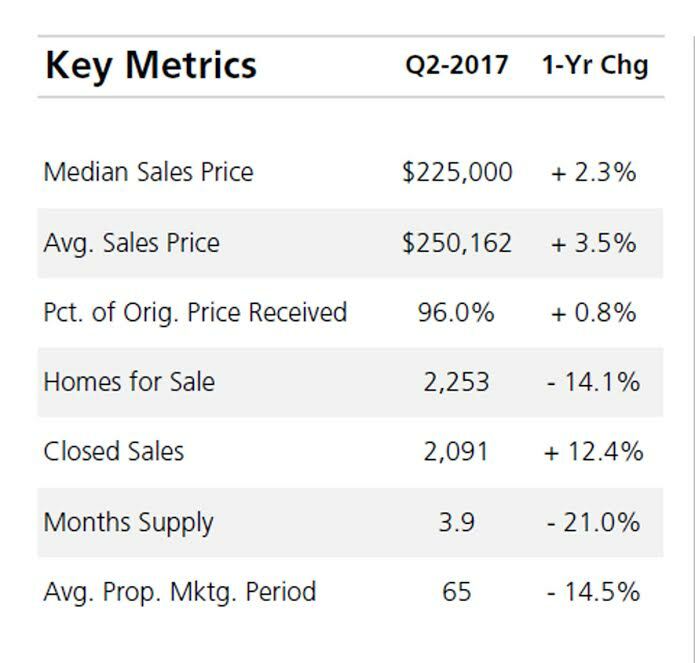 The median sales price did post an increase of 2.3 percent to $225,000 and the number of home sales rose 12.4 percent for a total of 2,091 closed sales in Q2. This number alone shows buyers are determined and ready to buy, thus pushing up the number of properties sold! As you can see from the charts above, the average sales price in New Castle County for the second quarter was $250,162, a number that rose 2.3 percent from this time last year, and what’s more, home sellers in the area will be glad to note that the percentage of the original price received comes in at 96 percent, posting an increase of 0.8 percent! Inventory for the second quarter of 2017 posted a 21 percent drop from the year prior, totaling a 3.9 months supply— which is why the market is ready and waiting for your home! With few homes for sale, home sellers are likely to spark a bidding war or sell their home in a limited number of days, pending the right real estate team to help you achieve your goal. Plus, with mortgage rates still at historic lows, you could sell your property successfully and move on to your next dream home for the perfect price! 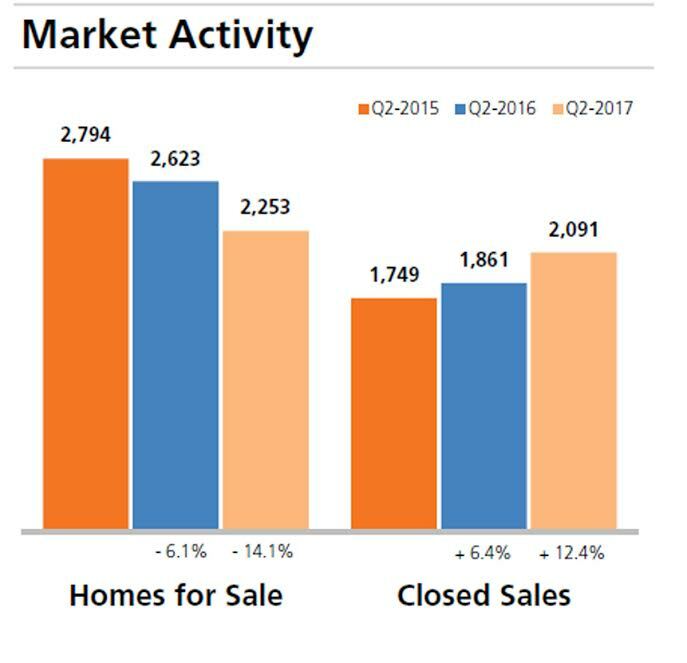 While these updated statistics can help provide insight into the real estate market, they are but a brief snapshot of the overall picture! Do not hesitate to contact us with any further questions you may have! 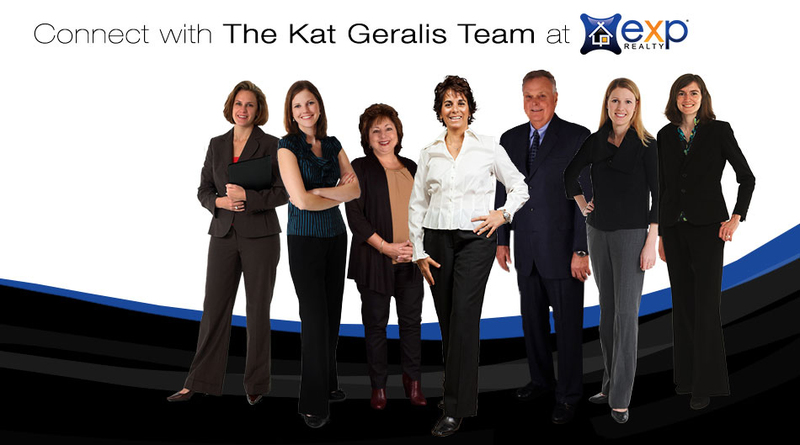 Our experts at the Kat Geralis Home Team are on hand to provide more information about buying a new home, selling your current property or provide a list of available homes for sale!